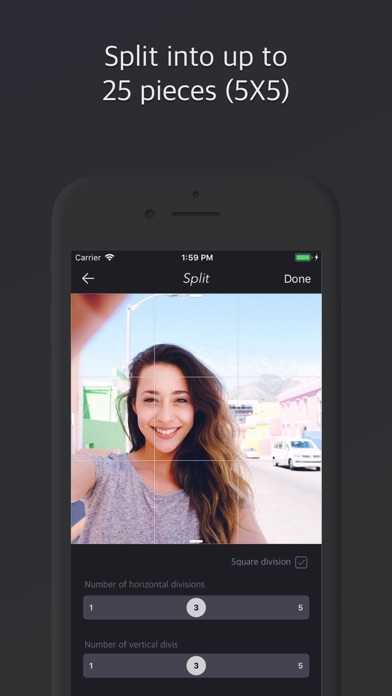 PhoSplit helps you split a photo into several pieces in HD. Several pieces divided will be still in HD Share your wonderful works with your friends. 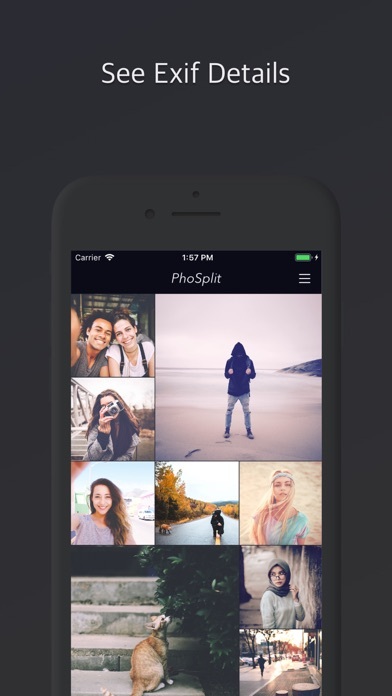 PhoSplit is easy to use! Save divided pieces of photo by touching a screen few times, and it's easy for anyone to use. 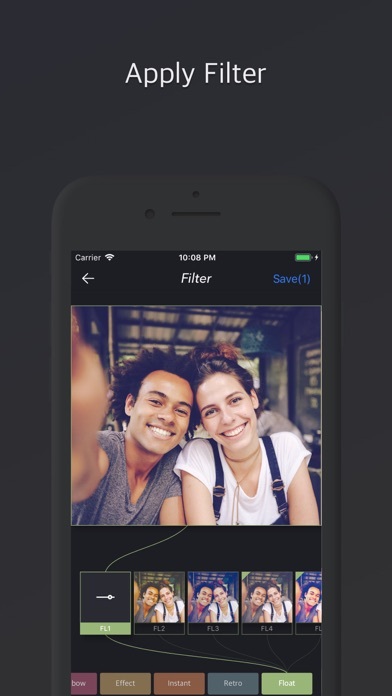 Manage your Instagram in a new way, Experience making special feeds. Get a new experience right now by going beyond the normal Instagram format. 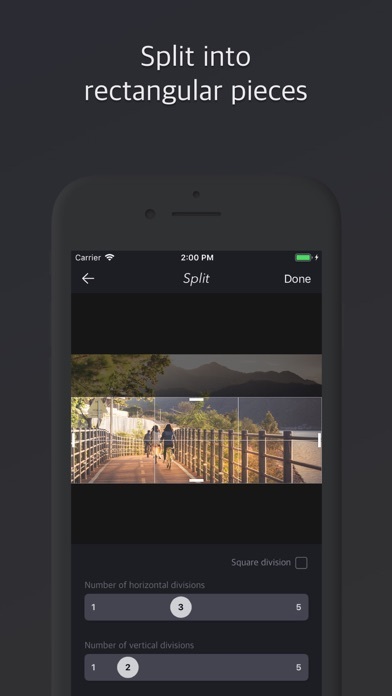 Features: You can split your picture. Pictures can be split into square and rectangular pieces. Photo can be split into up to 25 pieces (5X5) Background color can be applied to square photo. You can create your own beautiful photo with applying filters. You can see the Exif Details of the original picture. You can check the quality by enlarging the divided photos. Quality guaranteed for the original photo. Manage the added filters. Filters can be applied to the Library images. 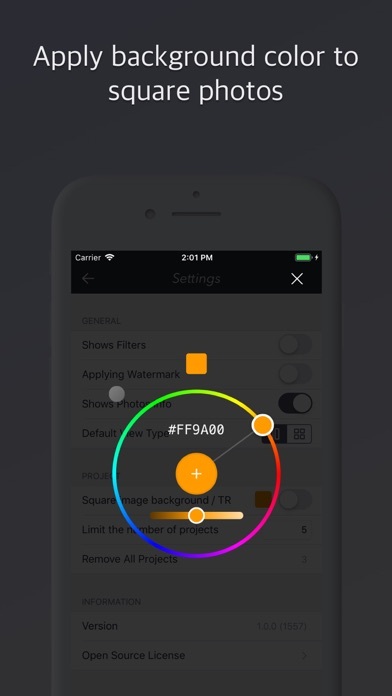 Apply filters to the Library images with the 3D Touch function. You can edit the watermark. 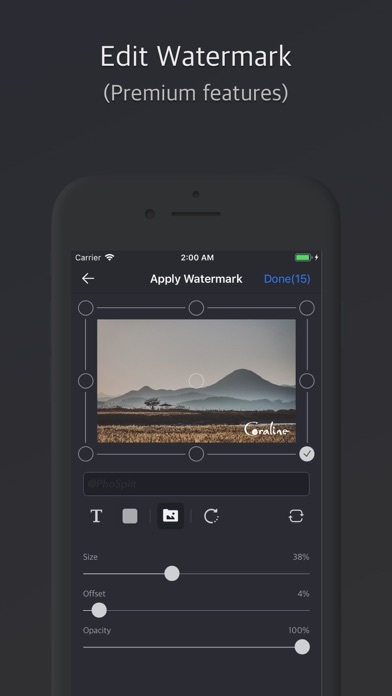 You can apply watermarks to the photos in the library by using the 3D Touch function. You can share photos in Instagram.